IS THIS IT? IS THIS WHAT WE HAVE BEEN WAITING FOR? GET BEAST WATCH NEWS THIS FRIDAY TO FIND OUT! 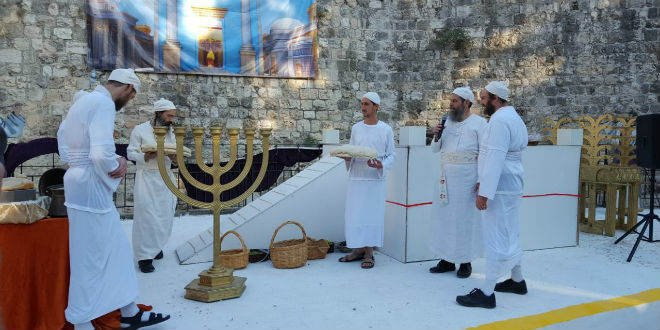 Sanhedrin Invites 70 Nations to Hanukkah Dedication of Altar for the Third TempleBy Adam Eliyahu Berkowitz November 29, 2018 , 4:07 pmThe people that walked in darkness have seen a brilliant light; On those who dwelt in a land of gloom Light has dawned. 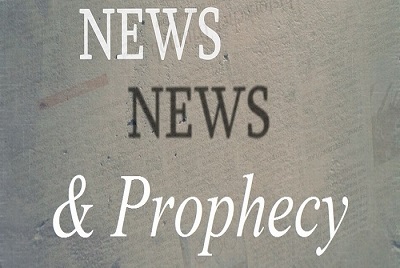 Isaiah 9:1 (The Israel Bible™)Special showbreads are brought as offerings by the Kohanim (priests). (Courtesy Sanhedrin)The nascent Sanhedrin released a declaration to the 70 nations for Hanukkah to be read at a ceremony in Jerusalem on the last day of the holiday. The ceremony will include the consecration of a stone altar prepared for use in the Third Temple. The declaration is intended as an invitation to the nations to participate in the Temple and to receive its blessings.